Who knew the renaissance would yield a home-defense/law-enforcement shotgun like the 1301? Beretta has always been famous for its wide array of high-quality handguns, but it wouldn’t leave the shotgun world without placing its mark on it. The 1301 Tactical and its competition-oriented version (the 1301 Comp) are both excellent examples of how and why shotguns are making such a comeback into the lives of many shooters and firearm enthusiasts, especially in the U.S. The Tactical has a fixed choke, unlike the Comp which we will discuss soon. Right out of the box, it seems that the 1301 looks good, feels good, and is ready to tackle any situation. This is a more compact shotgun, with a length-of-pull of 13 inches. This means two things: A – the recoil will have to be managed more. B – this shotgun won’t fill everyone’s needs, primarily because of its size. There are many great things about the way this shotgun is built: its aluminum receiver, fixed cylinder choke, checkering on the foregrip (for better purchase), the BLINK gas-operated system and resulting lightning-quick cycling, the oversized controls which allow you to get a gloved finger in there with no problems and also to charge without looking thanks to the larger handle. The length of pull – in spite of its initial short length – is somewhat customizable, too, with spacers. It is sturdy and rugged. When you grab hold of this weapon, you are already comfortable with it. This will not apply to everyone, since some will undoubtedly want the pistol grip. But still, out of the box, this shotgun looks and feels great. The Tactical’s older brother, the 1301 Comp, is a weapon designed mainly for competitions. Because of this, there are certain features which differ from the 1301 Tactical. The Comp has an extended receiver. The barrel is vent-rib and comes in in 21″ or 24″, as opposed to the Tactical’s 18.5”. It is tapped for railing, but does not include it, unlike the Tactical which comes with a Picatinny rail. The sights are bead (rear) and fiber optic (front), not ghost. It has a 5+1 capacity but can increase its capacity with mag extensions, like the Tactical. The 21” can increase to 8+1, and the 24” can boast an impressive 10+1 capacity. Also, there is the option of screw-in chokes, as opposed to the Tactical’s fixed Cylinder choke. All in all, the Comp is more adaptable, but the longer barrels and various choke options won’t necessarily serve someone who is not competing. This is why the home-defense/law-enforcement model is the go-to, for those who are looking for a useful, non-competition shotgun. The tactical is shorter and lighter, and this is its main advantage when compared to the Comp. 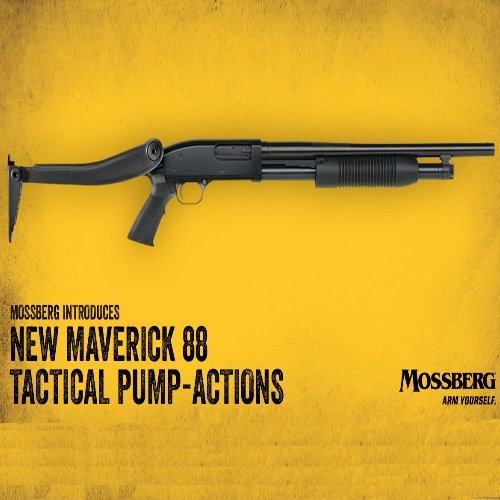 Like the Tactical, it is a 12-gauge, gas-operated semi-automatic shotgun, chambered in 3”. Like the Tactical, it also has nicely oversized controls (charging handle, safety, bolt release, loading/ejecting port), making it easier to be effective under different conditions. Depending on what you are using the shotgun for, you may or may not want to add accessories and gear. Keep in mind that this weapon is lightweight. You may want to keep it that way, and additional equipment often comes at the price of weight gain. Shell carrier – Attaches to your 1301’s Picatinny rail or uses a powerful heavy-duty adhesive and gets you ready for that quick reload. 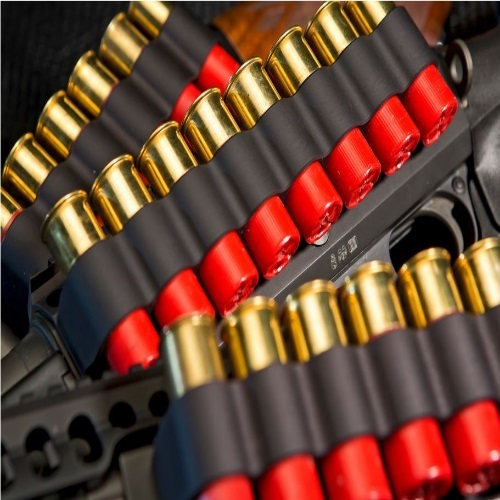 In an emergency situation – and any situation, really – you never want to be out of ammo. Shells are something you always want more of. Having them literally on your shotgun is not a bad idea, which is why carriers are always in demand. There are a few companies who make carriers/side-saddles for the 1301 Tactical. Prices vary. CROM – The Co-Witness Ready Optic Mount (CROM) allows you to mount an Aimpoint Micro red dot optic, while still retaining use of the Tactical’s front sight – hence the “co-witness” in the name. This is not a must-have upgrade, but if you are interested in mounting a red dot on your 1301, this is definitely something you will want to buy. If I am not mistaken, this accessory – unlike the previous two – is made exclusively by Aridus Industries. It is manufactured for the Tactical shotgun only, and will not fit the 1301 Comp. MSRP: $110- 125. This is an accessory which deserves its own section, simply because it provides you with more firepower right off the bat, without needing to reload. True to its name, a mag extension takes the 1301 Tactical’s ordinary capacity and enhances it. Beretta sells its 1301 Tactical with a +2 mag extension for the MSRP of $1240. Other extensions are available as standalone accessories, and prices are usually between $50-150. Having more ammo can make the biggest difference. If you are facing an emergency situation, your training and skill will only take you so far. Even the most skilled shooter won’t have much to do with an empty shotgun. Upgrading your count from 4 (or 5) to 7 rounds can be crucial. Benelli is actually owned by Beretta. The company was bought (along with several other arms manufacturers) by Beretta in the later 1980s. The Benelli M4 is also a 12-gauge, gas-operated tactical shotgun, but there are some differences between them. First, the construction: Benelli has chosen to use metal parts in parts where Beretta uses plastic. The M4 is more expensive, with an MSRP of $1999 and a street price of ~$1750. As for accessories, there is no doubt that has Beretta beat. 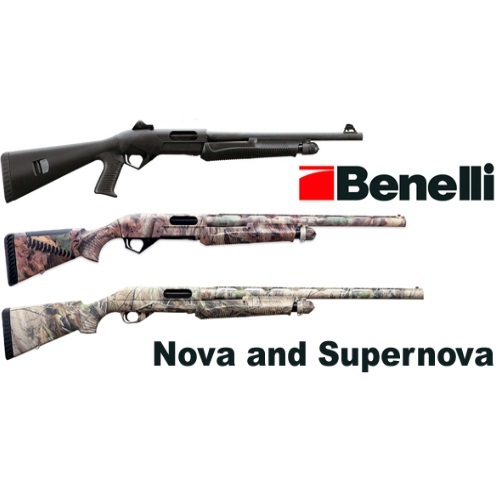 The 1301 has a pretty limited selection as accessories go, while Benelli has many different options and aftermarket products. Is there a real point in comparing the two? Yes and no. They are both tactical shotguns, but it is not the case that one is necessarily better than the other. Both models have their target audiences, and both are good shotguns in their category. Neither one of them requires too much maintenance, and they are both accurate and easy to handle. The capacity of the M4 is 5+1, which can be extended to 7+1 via mag tube. The M4 has a ghost ring sight and a Picatinny rail for mounting what you need. The Benelli comes with a modified choke. It will be useful for most situations, but other chokes are available for those who want to control their spread more rigidly. The 1301 Tactical is a good choice for home defense. Give it a try and see if it vibes with you. It is an affordable option and a reliable one. There is always the question of whether or not your weapon will be able to perform when the time comes. With the 1301, there is little need to worry. It is built well, and those who train and hunt with it usually have no complaints. There hasn’t been an issue, or recall, on this shotgun or its derivatives. Beretta has a reputation to uphold. It is one of the oldest arms manufacturers in the world today, and while that doesn’t automatically make it amazing, it does make it accountable and reputable. When you buy a Beretta, you know you are getting a high-quality item. Whether or not it stays that way is all up to you. Cleaning, maintaining, and generally caring for your weapon of choice (be it EDC or home-defense) is the best way to ensure that you AND your firearm will be prepared and effective in the blink of an eye. Thank you for reading here at Gunivore!